Equal Pay Day in the United States was on April 2, a day designated to raising awareness about the gender pay gap. In coordination with the occasion, the LUNA Bar brand, a division of Clif Bar & Company, announced a $718,750 donation to the United States Women’s National Soccer Team (USWNT). The donation represented their pledge to pay $31,250 to each player on the 23-women roster for the 2019 Women’s World Cup in a gesture that equals the women’s bonuses to those of the Men’s National Soccer Team. The USWNT has rallied around the hashtag #SomedayIsNow in their fight for equal pay. On Mar. 8, International Women’s Day, they made their biggest statement to date: 28 members of the USWNT sued the U.S. Soccer Federation for wage discrimination. U.S. Soccer cites terms of unreleased collective bargaining agreements as the reason behind the unequal pay structures. But it’s no secret that the women’s team, who has won three World Cup championships and earned four gold medals, sees considerably more success on the international competitive stage than the men’s team has. Shouldn’t their pay grade reflect their quality of play? 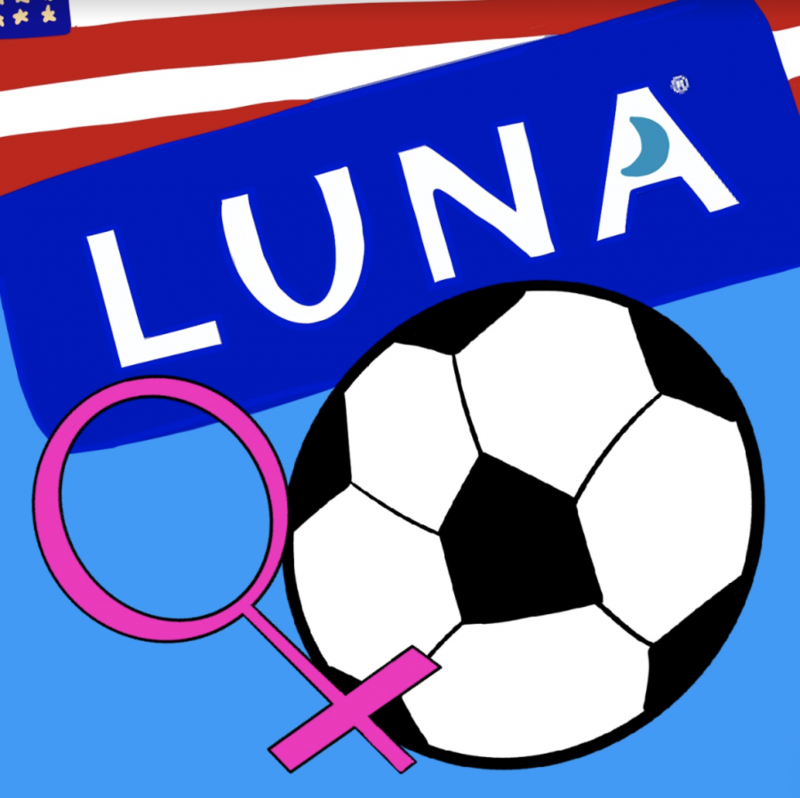 LUNA’s action is an outstanding gesture of support for the USWNT and the values of fairness, integrity, and equality that they stand for. They have set an example for other corporations to, at the bare minimum, acknowledge the inequality that exists on their payrolls. However, LUNA’s donation doesn’t really change much about the underlying causes of the gender pay gap and other manifestations of gender discrimination in our country. The women on the USWNT, though admirable advocates for the cause, aren’t those most severely impacted by the issue, as they also benefit from paid sponsorships. Think instead, for example, about the single mother who makes only enough to scrape by and provide for her children. She is the woman who needs the pay gap to be reduced most. It is important to recognize that this problem does not just exist in athletics, although it receives more notable attention in the world of sports thanks to players like the USWNT’s Alex Morgan and Megan Rapinoe using their professional platforms to speak out. Should we praise LUNA for the public statement they made in support of gender equality? Absolutely. Should we admire the players on the USWNT for speaking up on behalf of underpaid women? Without a doubt. But we cannot afford to sit back and say “oh, they’ve got it covered.” The USWNT’s lawsuit and LUNA’s donation, quite honestly, should not have been necessary in the first place. The gender discrimination that permeates the American workplace remains the root of this problem. It does not just exist in sports. It does not just impact celebrities. It is a fight that every woman faces. It is deeply ingrained into our society. So while I applaud this incredibly generous and meaningful gesture from LUNA, I wonder if their donation could have been better spent in efforts to address the root causes of the gender pay gap. Because while the USWNT now might have pay equal to their male counterparts, the issue more broadly is a long way from solved.